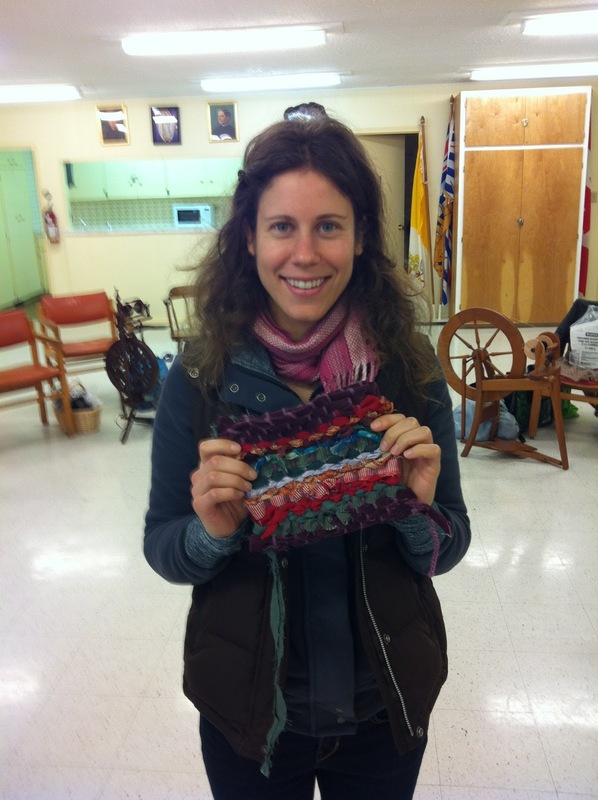 I have been learning the art of weaving fibres from my friend Margie, a talented fibre artist and seamstress extraordinaire, and what a fun experience! 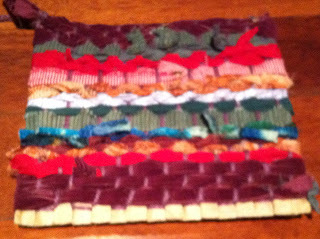 A few weeks ago she took me through the process of making my very own purse made from recycled fabrics and yarn all done on a cardboard loom; you can see bits of cardboard sticking out in the photo. 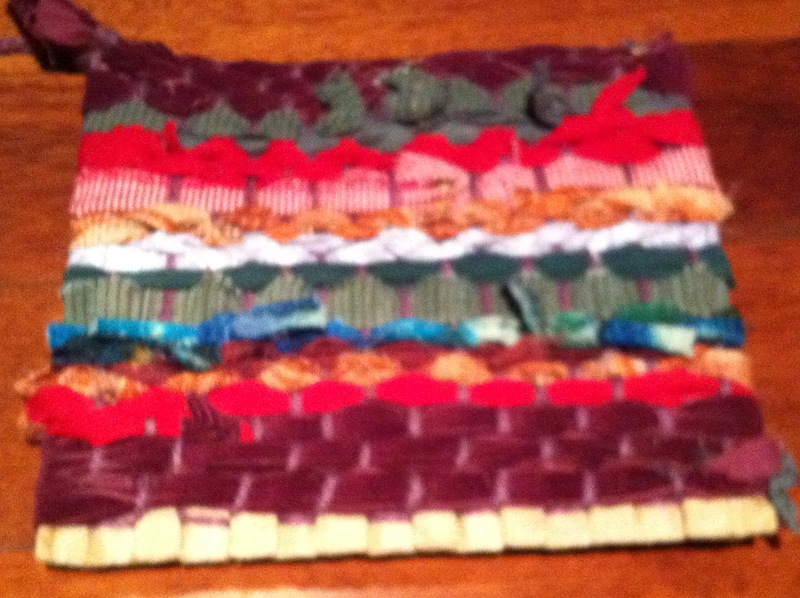 Over homemade sorbet and good conversation I actually weaved the entire purse. 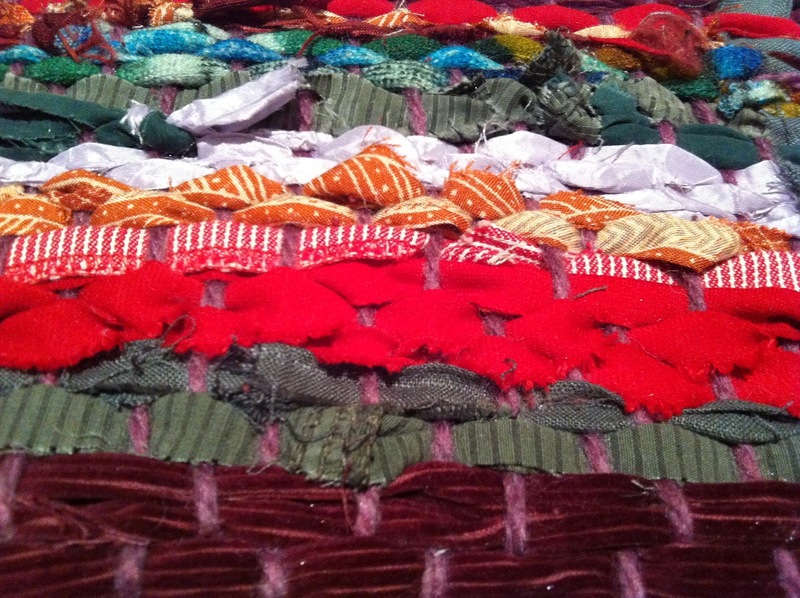 The next steps will be to put in a lining to give it a bit more durability, and to put on some straps. Seriously, art projects are such a great thing to do with friends. OK, I love that and want to make my own! Nice job. Can you put a zipper in it? I am sure you could put a zipper in it. 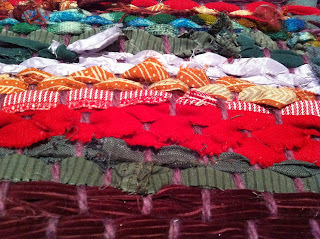 My friend, who showed me how to make it, has put zippers in many of her fibre art woven purses. They are totally unique and fun!! Perhaps there is some instruction on-line for making them.